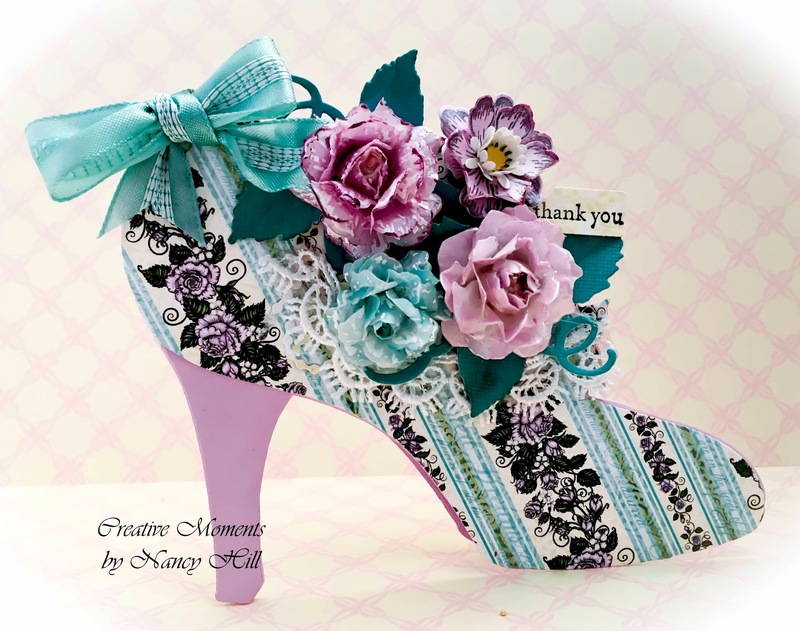 I just had a birthday party from wonderful friends and family who gave me beautiful flowers. 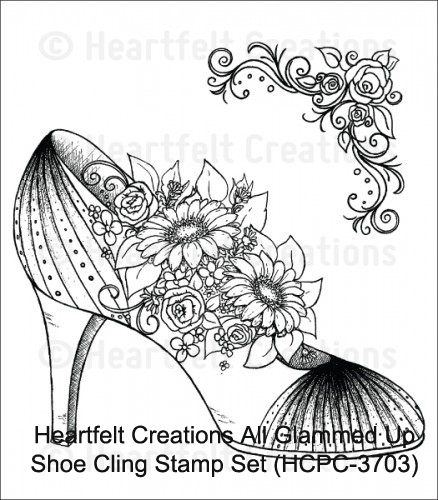 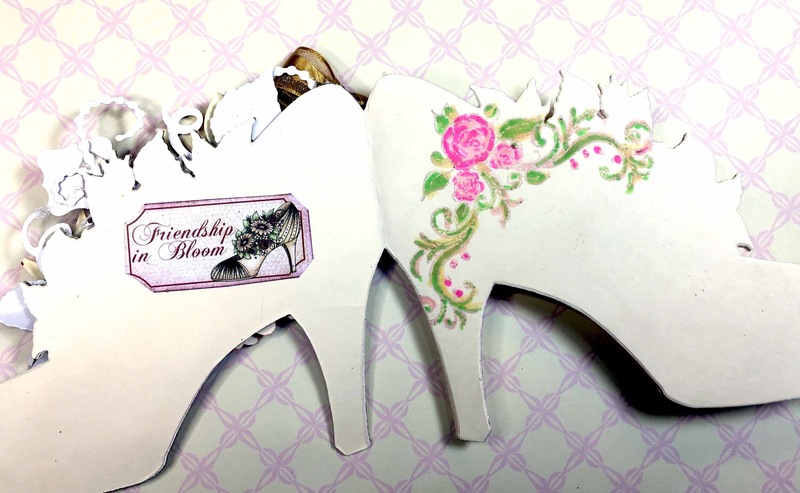 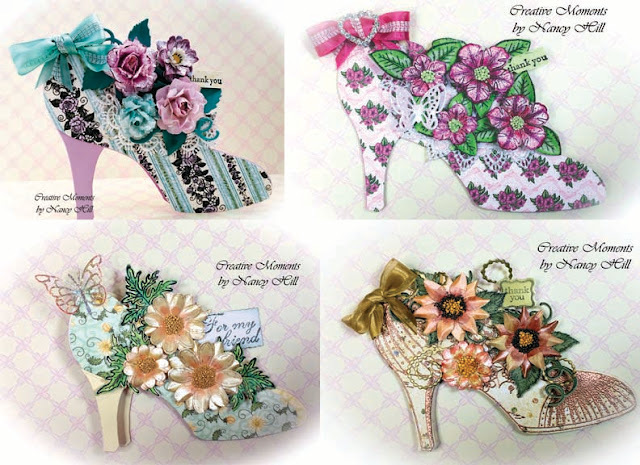 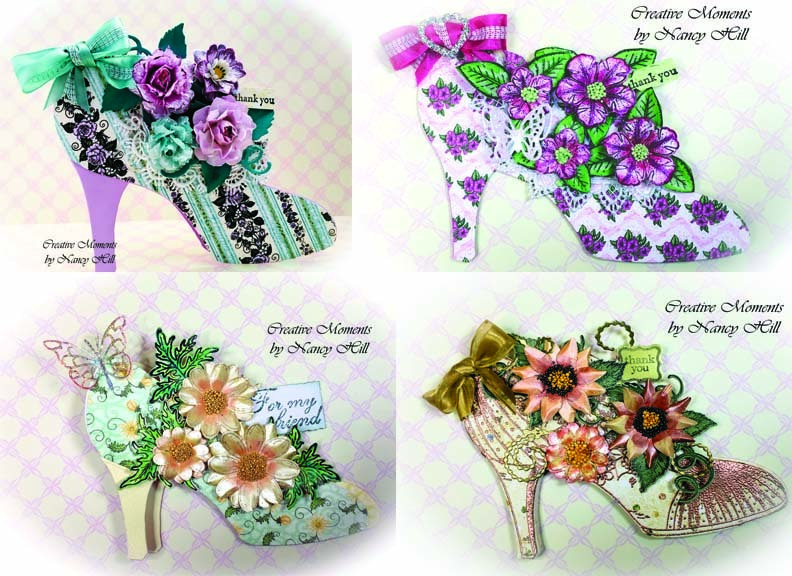 I choose each of my friends favorite flowers and made flowers and a card to symbolize our friendship and thanks using the Heartfelt Creations collections starting with the Heartfelt Creations All Glammed Up shoe die and stamp set from The Rubber Buggy on-line store. With this beautiful stamp set, I used the corner border stamp for the inside of the card and colored it with Copic markers. 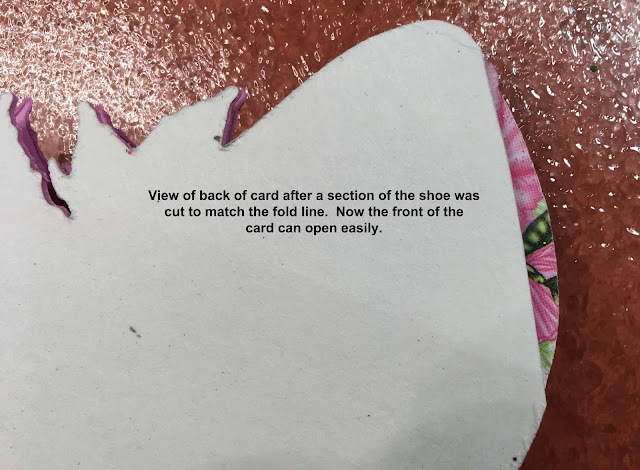 I will write my thank you note inside the card. 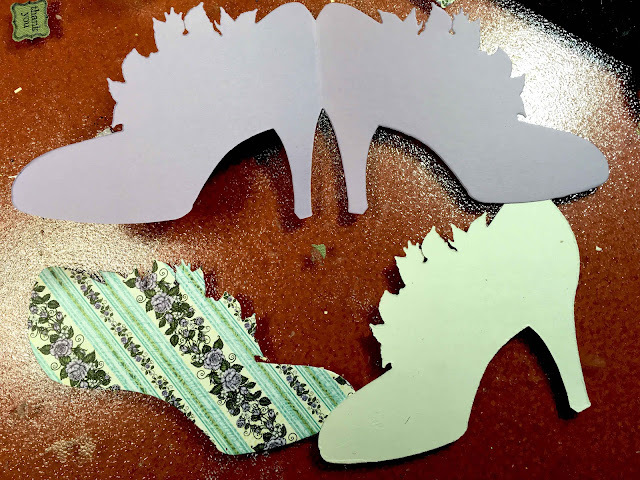 The finished shoe card measures 4 1/2" x 5 1/5" . Inside of card, fold paper in half and die cut with part of the heel of the shoe about 1/4" off the fold line. 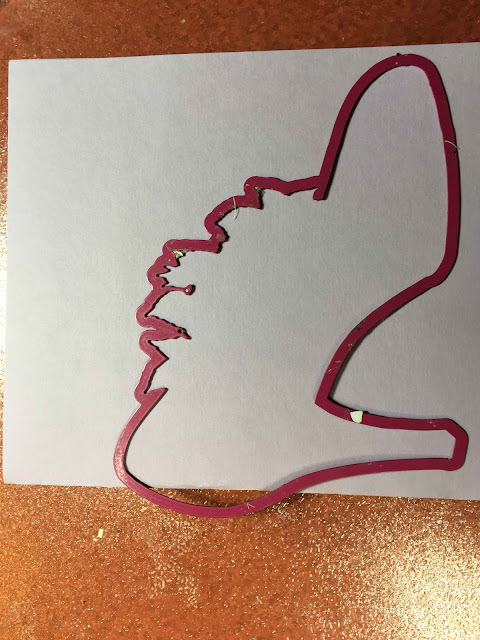 See next photo for sample.